Earlier today, I posted the American League run prevention leaders through May. Now, for the National League. Pitching Runs - Runs Saved Above Average based on innings and runs allowed. Adjusted Pitching Runs - Pitching Runs minus estimated Runs allowed by fielders. Base Runs - Runs Saved Above Average based on batters faced and hits, walks, total bases and home runs allowed. FIP Runs - Runs Saved Above Average based on innings, bases on balls, hit batsmen and home runs allowed and strikeouts. These measured are discussed in more detail in an earlier post. After computing each measure, I then take the average of the four. The current National League leaders are listed in Table 1 below. 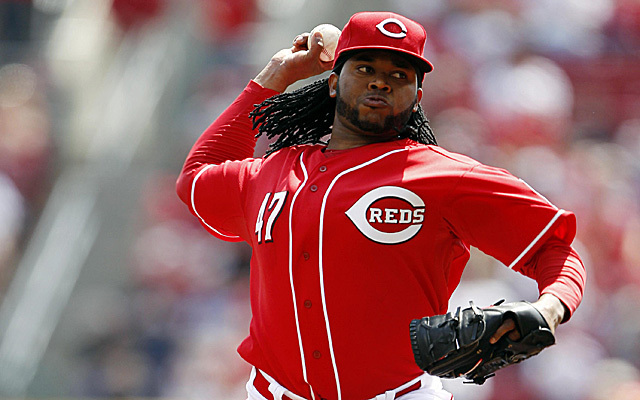 Reds right hander Johnny Cueto leads the league with 18 Pitching Runs, 17 Adjusted Pitching Runs 22 Base Runs and is third with 12 FIP Runs. That gives him an average of 17 runs prevented compared to an average pitcher. Adam Wainwright of the Cardinals is second with 14 runs prevented. He is first in FIP Runs (14), second in Pitching Runs (18) and Base Runs (16) and fourth in Adjusted Pitching Runs (12). How is Alex Avila's Defense in 2014?